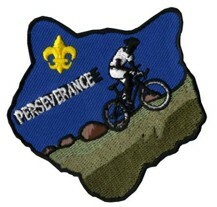 Baloo's Bugle for Courage and "Cubs in Shining Armor" is on-line. These are the Core Value and Supplemental Theme for June's RT and July's Activities. Be sure to check out about getting your boy's outside. Over 80 pages of Cub Scout FUN!!! Baloo's Bugle for May Roundtables and June activities is on-line!! the Supplemental Theme is Head West Young Man.